Whack A Mole | OhGizmo! 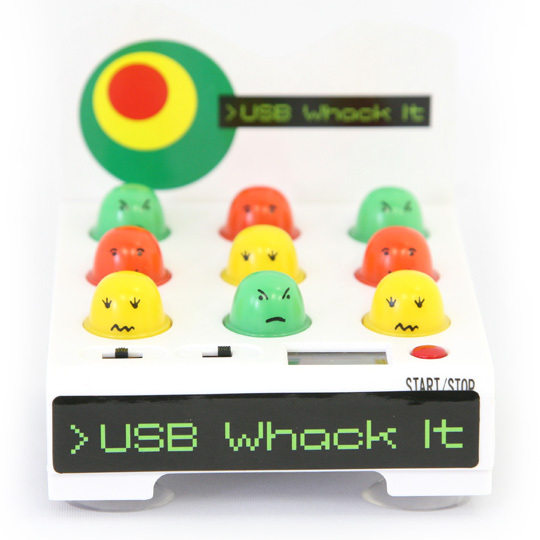 Online store GeekStuff4U is selling a USB powered version of a carnival classic, whack-a-mole. For roughly $42(the listed price is 21.00€) you get this little tabletop game where you “whack” little ghosts by pressing them with your fingers when they light up. It keeps score and has sound effects for the whacking. It’s too bad the ghosts don’t pop up and down like the real whack-a-mole. Then again, I was never good at the real whack-a-mole, so I might have a fighting chance with this version. Cotton Candy and seedy gamer merchants not included.